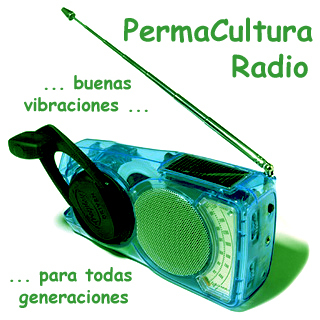 Why Howard T. Odum as the father of Integral Permaculture? Howard T. Odum studied in great detail the energy flows & interactions in complex life systems, creating a simple pattern-language that serves as a powerful model for understanding how ecosystems work, in useful detail. This model includes visible as well as invisible components of a system, & is so holistic that human economy as well as minerals & weather processes can be accounted for, making this the most integral of economics models. He also proposed a new & provocative law of thermodynamics that includes Life. In this class we will explore the basics of this work and explore how it is an essential base of Integral Permaculture. Howard T. Odum, born in 1924 and professor at the Department of the Environment, University of Florida, is among the creative researchers who are not afraid of the bold, sweeping concept. He began his career as a meteorologist and, through his analysis of the global circulation of strontium in the late 1940´s, anticipated the now-accepted view of the earth as one great ecosystem. His strontium study also made environmental history, since it was carried out at the time when the Americans were testing the first atomic weapons. Over many years Howard Odum devoted his energies to studying the ecosystems of fresh and salt water. Two of his works here have been described as classics: his study of Silver Springs, a spring-fed lake in Florida; and his work on the organization and energy turnover of the coral reef, carried out in collaboration with Eugene. Silver Springs is a common type of spring-fed lake in Florida, with a constant temperature and chemical composition. It is thus and ideal object of study. The Silver Springs study, published in 1957, is the first complete analysis of a natural ecosystem. Howard Odum started with an overall model and then mapped in detail all the flow routes to and from the lake. He measured the energy input of sun and rain, and of all organic matter - even those of the bread the tourists threw to the ducks and fish - and then measured that gradually left the lake. In this way he was able to establish the lake´s energy budget. The Odum brothers used the same overall model when tackling the most complex ocean ecosystem of all - the coral reef. This has been described as one of the most productive ecosystems there are, and was earlier thought to take its nourishment form the surrounding sea. By measuring the energy flow upstream and downstream of the reef, the brothers showed that it is algae living enclosed in the coral animals that are responsible for the greater part of the production. The algae fix solar energy and form simple carbohydrates for the animals. In return they receive carbon dioxide from the animals´ respiration. The coral reef is thus, according to the Odums, an ecosystem that is largely independent of the surrounding sea; a conclusion that still holds good. Following a series of works on the composition of coastal water and its significance for production in deep-sea waters, Howard Odum developed an instrument of revolutionary importance for the experimental side of systems ecology, particularly when forecasting changes. By describing the ecosystem as a set of mathematical equations together reflecting its total dynamics, he was able to simulate an ecosystem. He also designed an energy language with special symbols for all known events in the energy flow. This language has facilitated communication between researchers, and is now used by ecologists all over the world. Energy flow has always been central to Howard Odum´s research and, to study it in the field, he has often resorted to simple but bold devices. To study the metabolism of a tropical rain forest, he quite simply packaged a part in transparent plastic and raised ladders to the height of the forest giants. By measuring variations in the oxygen and carbon dioxide content in the air before and after it passed the “package" he found out how quickly the forest transforms the nutrients. Further, by subjecting the ecosystem to stress in the form of gamma radiation he was able to establish the cost in energy of the repair mechanisms. The study showed that, in a stable environment, the rain forest as an ecological type, like the coral reef, develops into a practically closed system in which a large part of the available energy goes to maintenance and repair. Using overall studies of this type, the Odums have been able to classify many of the earth´s ecological types. The brothers have also devoted much attention to the environmental problems associated with the world energy supply. Howard Odum was one of the first to realize seriously the dangers of using fossil fuels. In his book “Environment, Power and Society" (1971) and “Energy Basis for man and Nature" (1976),he developed the theory that the processes of ecological systems are dimensioned according to the amount of solar energy reaching the earth, and that extra energy increases in various forms cause damaging disturbances. In “Systems Ecology" (1983) he stresses man´s responsibility in the biosphere, a responsibility for what may be termed a permanent economy. The “work" that nature performs for man, for example in the production of forests, fish and clean water must in his view be made use of, not dissipated through interference that can cause unforeseeable future damage. Experience from the research of Eugene P. Odum and Howard T. Odum has also been used by a number of Swedish researchers, chiefly within forest and maritime research. Dr. Åke Hagström, Umeå university, is one of those who this year received a grant from the Crafoord Foundation, uses Howard Odum´s energy language in his studies of the ecosystems of free water masses. In 1974 he began examining how microbial food web functions in the sea.In water samples from the same point in the Baltic, all measurable factors in the food chain were analyzed: irradiant solar energy, algae production, zooplankton, etc, using a flow model sketched with the help of the symbols Howard Odum uses in his energy language. The Odum language is, for Åke Hagström, an excellent instrument when one is attempting to clarify one´s own thinking and to produce models for investigating ecosystems. But a model must be modified when it does not fit the facts, and this is what Åke Hagström has done. Since 1984 he has been working on the theory that the whole of the sea exists in a drop of water of about one milliliter: one alga, about a thousand bacteria, monocellular organisms such as ciliates and flagellates that eat the bacteria, and zooplankton that swallow up all the other living thins in the drop. Measurements have shown that the bacteria play a crucial part in the production, and that it is principally the algae that provide the bacteria with food. But where to the bacteria obtain the rest of the nourishment they need? One guess is that they eat up the waste formed by damaged cells when the zooplankton eats up the rest of the contents of the “drop of water". This is the problem Hagström is now to attempt to solve by repeating his measurements in the Adriatic, where temperature and solar radiation are more constant that in the Baltic. Howard Thomas Odum (also known as Tom or just H.T.) (1924–2002) was an American ecologist. He is known for his pioneering work on ecosystem ecology, and for his provocative proposals for additional laws of thermodynamics, informed by his work on general systems theory.